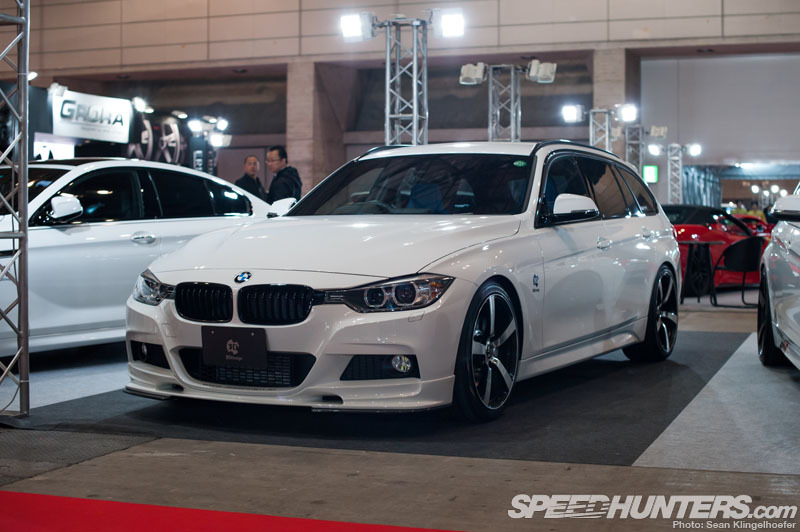 It’s the middle of January again, which can only mean one thing – time for Tokyo Auto Salon! This is the event that every Japanese car enthusiast looks forward to in the new year, and I’ve been fortunate enough to have attended for the last five years. However, this year I would be exploring new territory; the Euros. 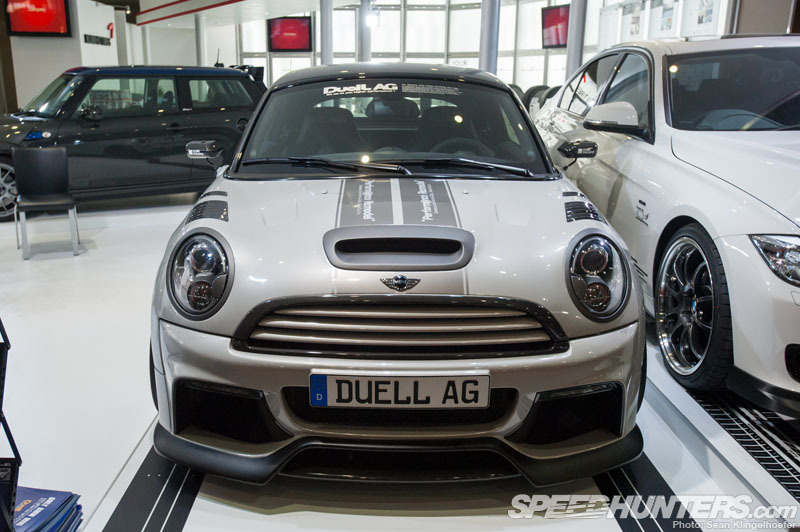 Although the Euro scene might not be nearly as popular in Japan as their own domestic vehicles are, they have a universal knack for getting things right when it comes to car tuning. Take for example this new Beetle, certainly not a car I could imagine myself driving, but it’s a very good interpretation. Another thing the Japanese are very good at is researching their hobbies thoroughly and then replicating or recreating what they’ve learned. 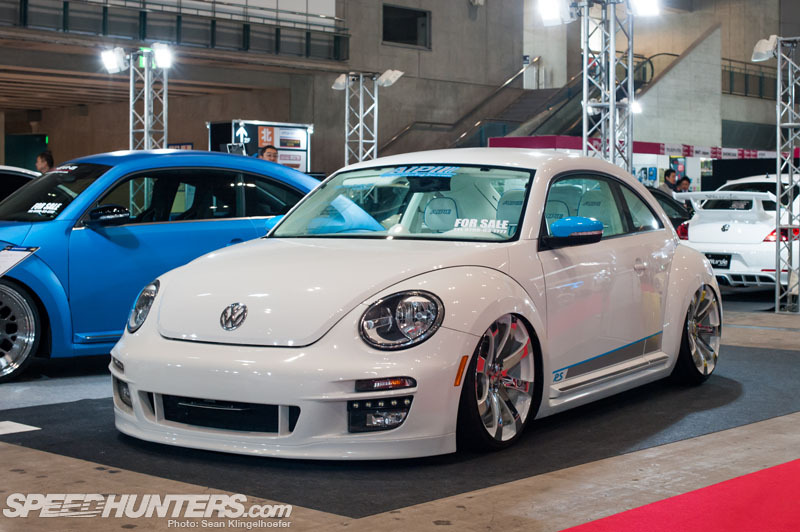 They’re so good in fact, that when I stumbled upon this Beetle I thought for sure that someone had shipped the Super Beetle I saw at SEMA over for TAS. Nope, just a very detailed RHD replica! The USJDM scene has become more and more popular in Japan, so I guess I shouldn’t be too shocked to see it carrying over into the Dub side of things as well. While this car looked very much like something I’d see cruising the streets back home, there were certain touches that were decidedly Japanese, like the burnt exhaust tips. The Audi A7 / S7 isn’t a car that you see modified too often, but I completely fell in love with the car’s silhouette after being carted around in one at Spa. Needless to say, when I saw this beauty parked in the Work booth my jaw hit the floor. It was of course used to promote Work’s newest addition to their Gnosis line, the FCV03. A very clean look indeed! 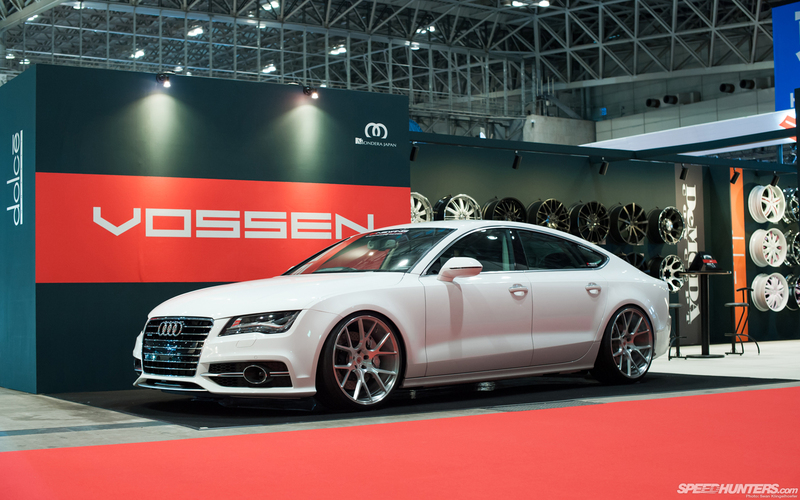 Speaking of clean, I spotted another of the massive Audis over at the Vossen booth. With an entry price of just over $60k US, I think this might become a very popular tuning car over the next few years. Given how good these two look with even the simplest of modifications, I can only imagine what the future might hold. While on the subject of the future, I found this ludicrous tron-ish looking TT over in the Universal Air booth. As asinine as the concept might be, I actually find the crazy body kit works quite well with the factory lines of the car and was finished at a very high standard. Believe it or not, the air suspension could actually raise and lower the car without the body rubbing on the wheels, which blew my mind because it looks like the Lambo rims are virtually touching the fenders. Definitely not my cup of tea, but there was a gigantic crowd around this car at all times. …along with suspension, brake and wheel and tire upgrades. While I don’t see myself running down to the dealer to buy one anytime soon, I wouldn’t hate seeing something like this pop up at a track day back home. This, on the other hand, is something I would run down to the dealer to buy; if only BMW would offer the new 3-series in a wagon version to us Americans. A thing of beauty in standard form, this version by 3 Design retains the elegance of the stock car while adding some aggressiveness. For the last week, Dino and I have been getting around Tokyo via a BMW M6 which he will be reporting on shortly. I’ll leave it to him to do most of the talking, but I will say we’d both opt for a 4-door version of the car if such a thing existed. 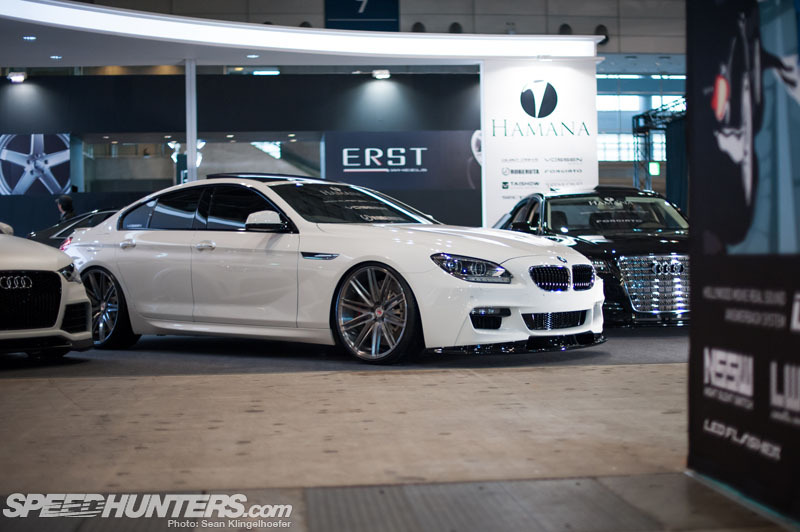 I think this 6-series does a great job explaining why. I found yet more mouth watering German metal in the Fabulous booth, this time in the form of a Mercedes. Not just any C-class though, a C63 AMG Black of course, wearing a complete body kit and wheels from Fabulous. The end result looks, well, fabulous wouldn’t you say? 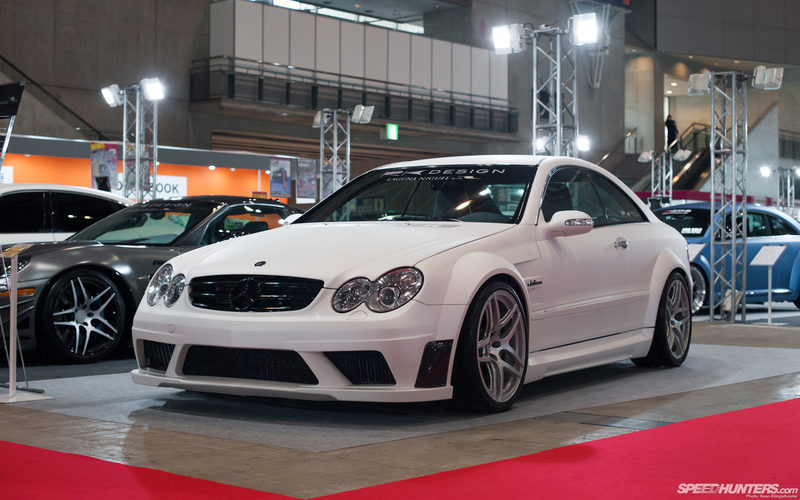 Before moving along, there’s one more Black Series worth mentioning, this time a CLK63. I had thought that the previous generation had started to look a bit dated, until I saw the viewpoint of RK Design. When I first saw this bad boy I was literally stunned. I kept frantically walking around it, staring at it and taking pictures at random. Then I’d consider moving on to the next car and I’d stop, turn around and go through the motions all over again. This thing was so badass it made me consider looking up prices on craigslist, but then I quickly snapped to when I remembered that only 300 of these were ever made. 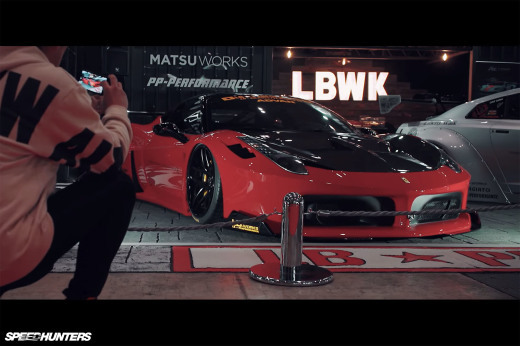 Of course we can’t talk about European cars at TAS without mentioning our friends at Liberty Walk. It seems like every year Kato-san brings out more cars than the year before, and for 2013 LB Performance had a massive booth with four Lambos on display. I was intrigued to see a second car rocking the LB-R Limited Works kit, this time in a slightly easier-to-take-in shade of matte grey. I’m not sure which I prefer, this one or the insane brushed stainless one I featured after SEMA, but they’re both incredible to behold. When I found a third version in the Boom Craft booth that was even wilder still, I nearly died. This car was extremely popular with the ladies! 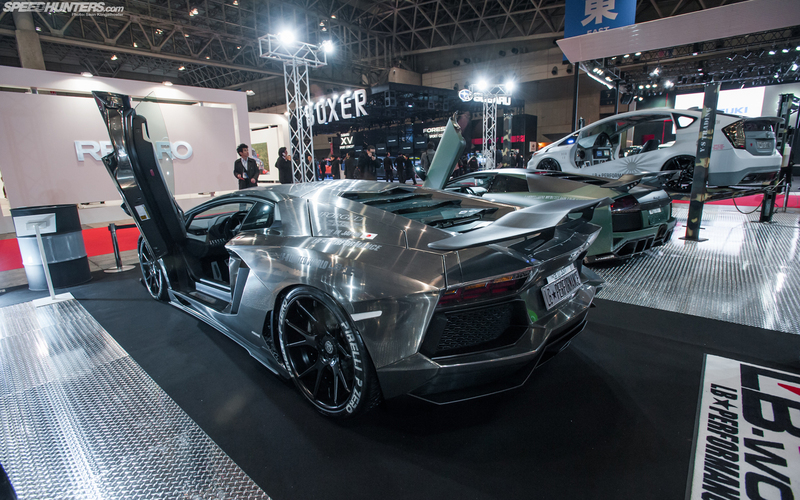 But the car I was the most excited about was the all-new Aventador which debuted at Tokyo Auto Salon. The Aventador is by far and away my favorite design yet from Lamborghini and seeing it given the same mental treatment that Liberty Walk is known for gave an intense itch to shoot it. Fortunately that itch has already been scratched, so keep your eyes peeled for a future feature. In other Italian exotic news, there was a very unsuspecting Ferrari at TAS that was probably overlooked by many. But a trained eye will quickly spot the bucket seats and deep-dished wheels. Upon further inspection, those big into the drift scene would likely put two and two together once they got a look at the decal sitting on the lips. 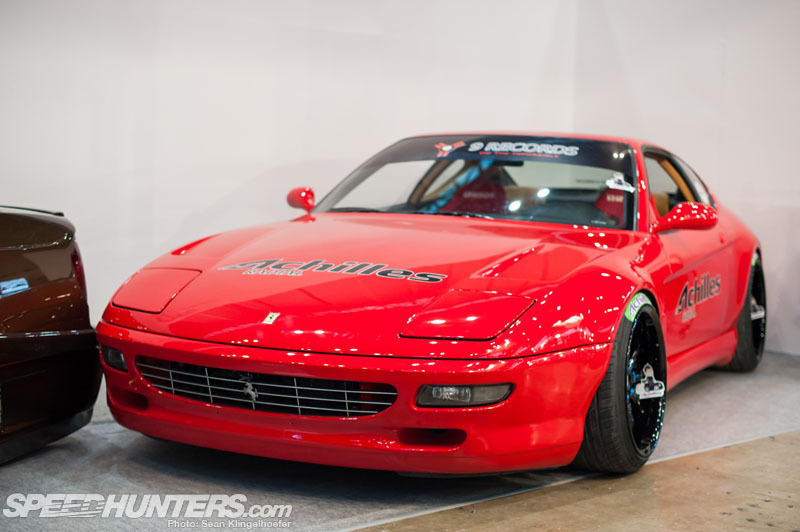 If you’re still not following, this is the 2012 Formula D USA and Asia champion Daigo Saito’s newest ride, a Ferrari 456 GT built to slide. I’m sure we’ll have more to report in the follow weeks on this car. There were actually quite a few Ferraris at TAS, most of which were fairly run-of-the-mill. One of the other exceptions to that rule was a pair of 458 Italias from Auto Veloce sporting full body and lip kits designed by Kei Miura. 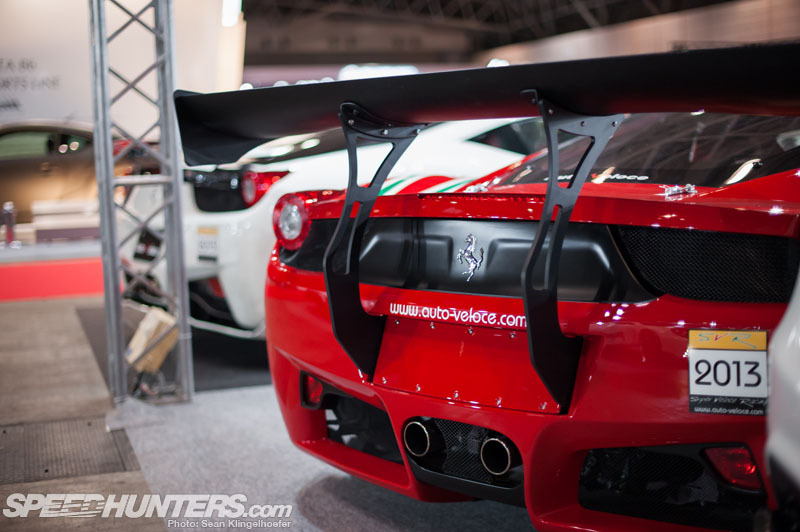 If the shape of the skirting doesn’t give Miura-san away, his tell-tale wing uprights certainly will! Dino mentioned yesterday that one of the largest booths at TAS belonged to Fab Design, which is absolutely true. They fortified an area nearly the size of most manufacturers with metal barriers and body guards flown in from the states. I guess it helps add to the baller-only vibe of the Swiss brand. The latest addition to their completely mental line of hypercars is this reimagined McLaren 12C Spyder, coated in a very loud shade of Orenji. 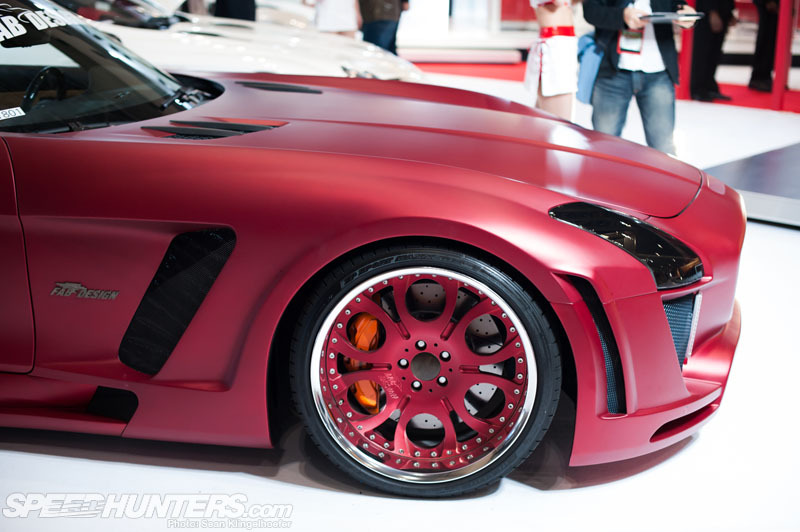 Junction Produce has been one of the biggest names in the VIP scene for years, staking a reputation for themselves by offering a full line of parts for Japanese luxury sleds. Therefore you can imagine my curiosity when I saw a Porsche Panamera in their booth. Despite how awful the combination might have sounded in my head, seeing it in person was actually quite nice… perhaps the first time I’ve ever liked the Panamera aesthetically in fact. In the G-Works area I spotted a pretty curious 911. From the outward appearance it looked like a very clean 993 GT2 Evo, but it’s actually a car that’s been converted in a very convincing fashion from a 964. I’ll be working with Dino to further investigate this car soon. Saving the best (or at least my personal favorite) for last, is a Porsche GT3 R run by Taisan in Super GT. The GT3 R is homologated for FIA GT3 racing and can be purchased as a customer car for racing all over the world. When you add a beautiful Endless livery to the thing I can’t help but drool. 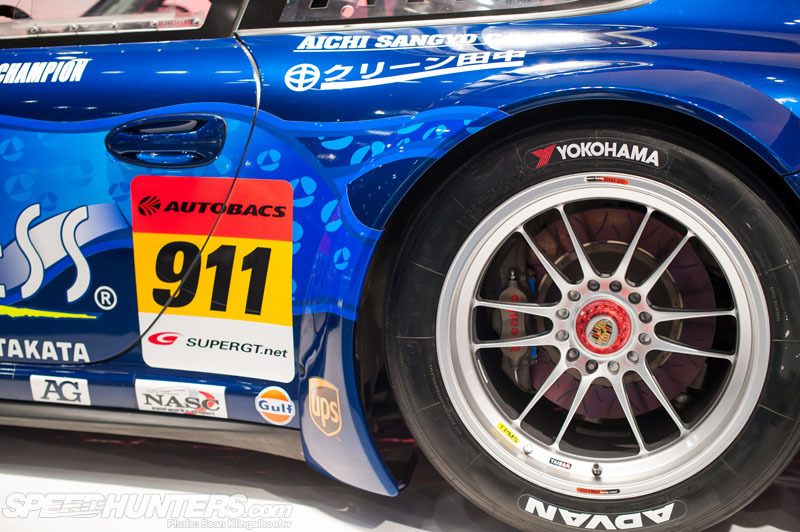 I can’t recall ever seeing another GT3 R with anything bolted to it other than BBS wheels, but true to Japanese form, Taisan have fitted a set of ultra light weight Enkei Super GT center locking wheels. Aside from looking generally badass, this car also collected the overall win in the GT300 class! A winner in both the show and go departments, can’t argue with that. More to come from TAS soon. 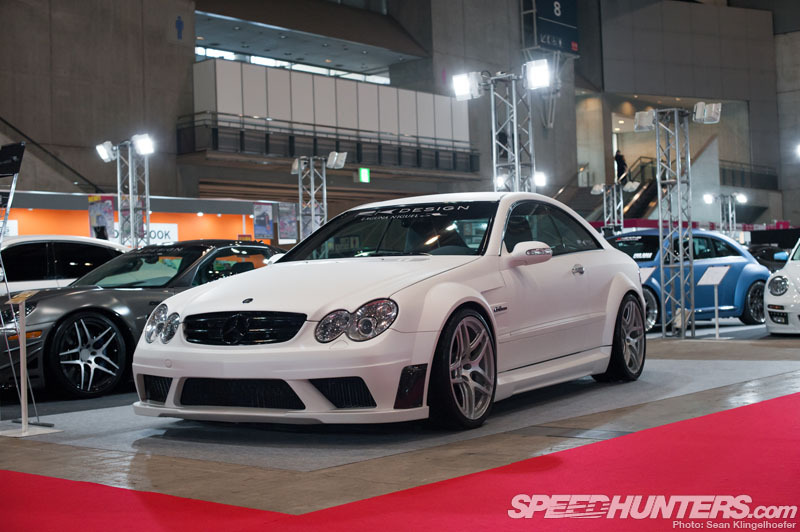 What did RK do to that C63? it looks exactly like a C63 black series. did RK just make a copycat of the black series body? Looks like the Audi from irobot... but real.. how odd. 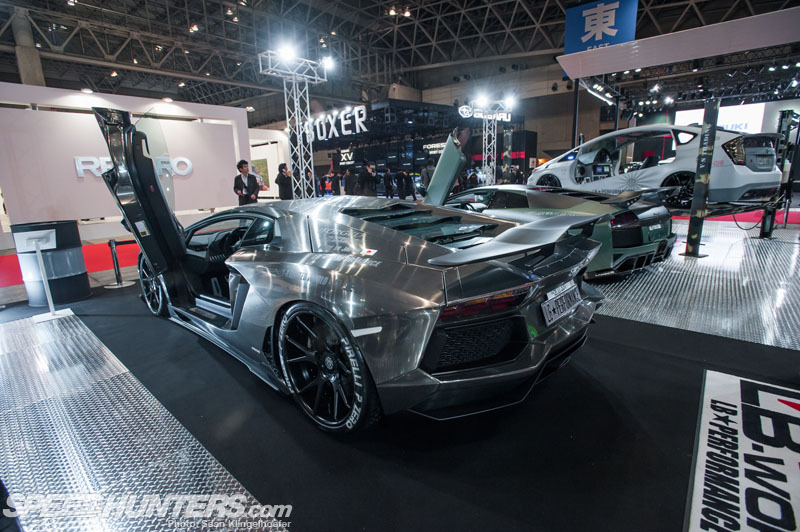 Why no overfenders on the Aventador? That TT looked mint! I cannot find the right words to describe it! PLEASE PLEASE PLEASE post more about the 456 Ferrari or where we can see more pics info!!! 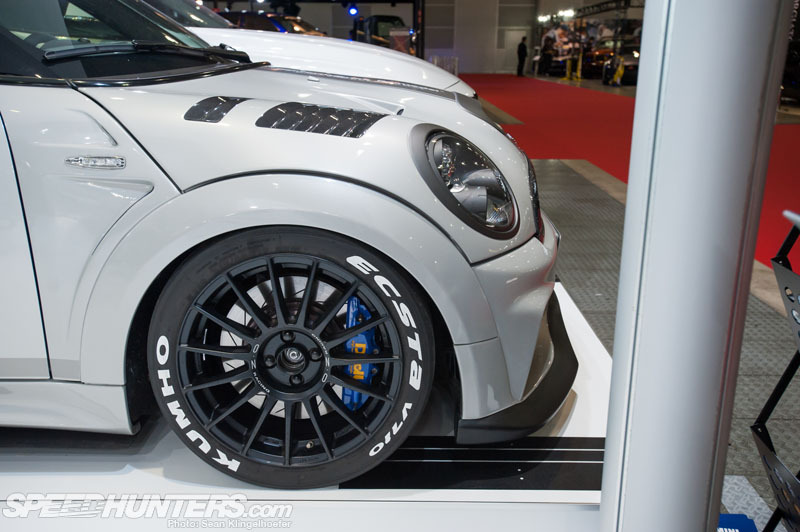 Those look like Work SC2 wheels bride buckets and more lowering than the H&R spring option for this car!!! I cannot wait!!! @Hatters when you have a car that massive it makes sense to have four doors. I also find that the body looks much more balanced with the additional doors. @ComJive I believe paint, trim, wheels, suspension and interior reupholstery. Not a ton of modifications but you can't deny how badass it looks. @AaronVenable I'm sure those will come out by next year. At this point in time I don't think there are too many people that would want to hack up a brand new aventador lol. @CHAGGARD I'm sure Dino will get the full scoop soon. If its possible to get a build thread of that 964 it would be really cool. 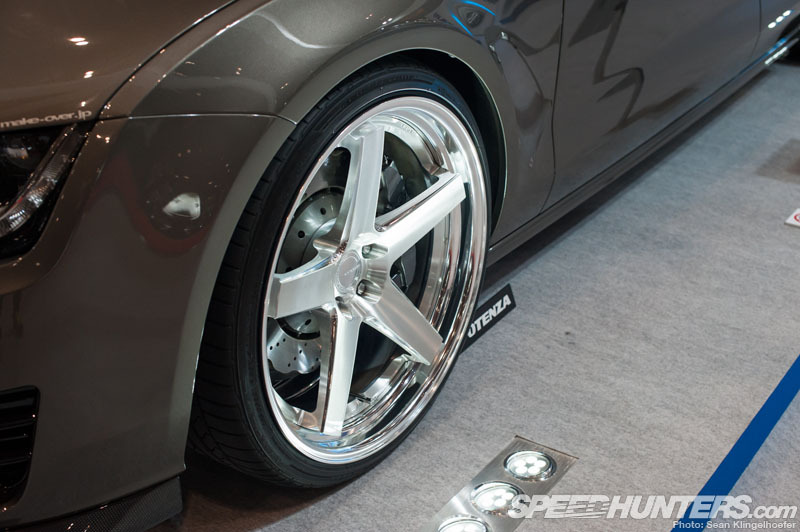 Do they have to cut much of the original fenders away to fit the liberty walk flares on the murcielargo? 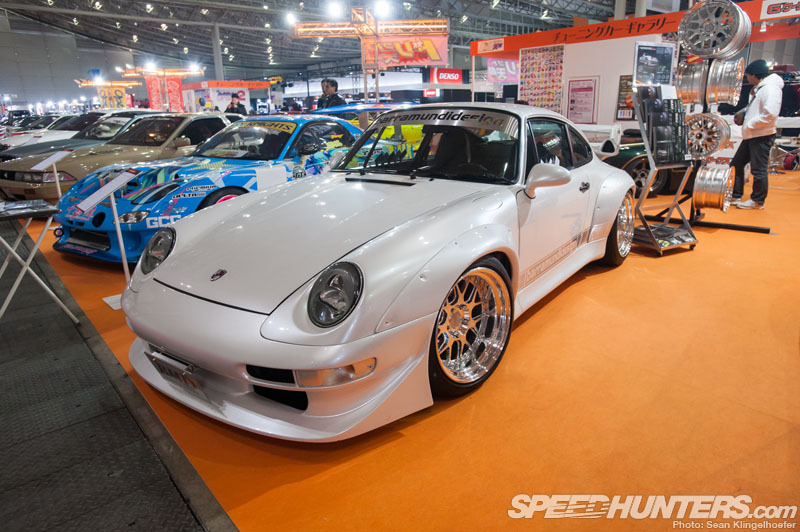 @WillAnton it would be interesting to see if this is a REAL drift car or just a personal 456 optimized for drifting. 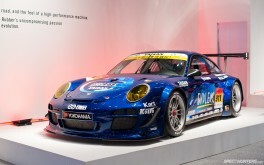 i bet if it is a real competition car it will be short lived just like the Hankook Porsche. after a while parts crashing and campaigning such a machine would just get prohibitively expensive. @dadecode I'm not fussed if it doesn't compete. As long as there is plenty of footage of him doing so, I'll be happy. 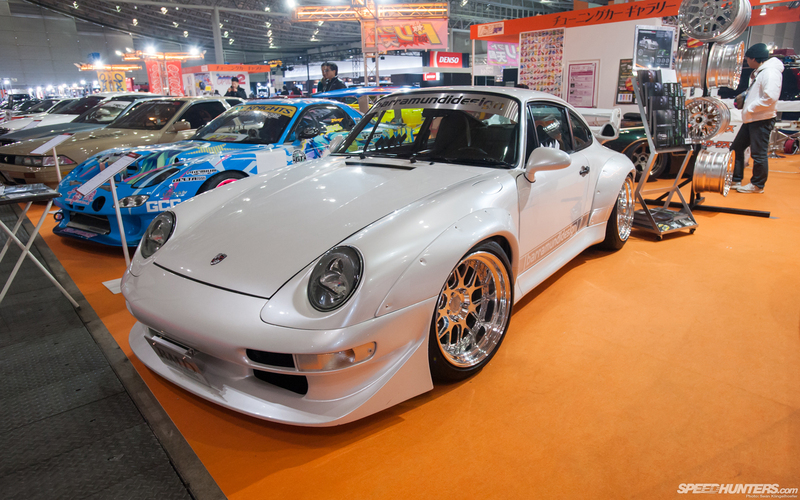 The Hankook Porsche! That thing was insane. Natural instinct tells us that it shouldn't have been able to slide as well as it did. But it did! I'm thinking this thing will just be a toy for Daigo. Like you said, it will not be a cheap car to compete in...unless of course Ferrari get behind him and back him. Somehow...I think not. 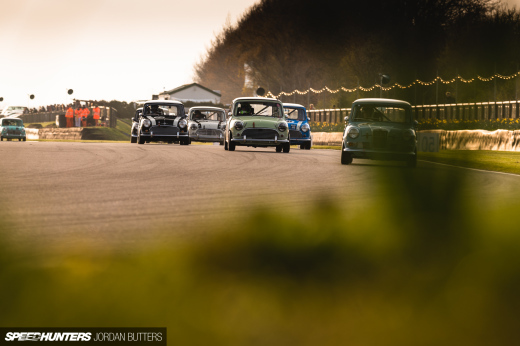 hmmm.. no RWB present in the show? @DaveT Exactly what i was going to post! I have been dreaming about tuned and stanced Audi A7's for some time now after seeing them here in Vancouver. Even the GF thinks that they look good. Now, thanks to the Speedhunters crew, I can revel in what can be! Not that I have that kind of cash hanging about. @JustinJadunath They look so radical, and if you can afford the S7 version you don't even have to tune it, that thing is a rocket ship! I think they have to borderline destroy the car to fit the overfenders lol. So what is that TT considered? MEGA FLUSH? damn, they are all so good! @tenpennyjimmy haha I don't think Kato-san reads anything, that guy has the shortest attention span of anyone I've ever met. Probably explains why he builds such mental cars lol.